Prayer boxes are used to collect specific prayer requests. Individuals write their prayers down on pieces of paper or index cards and then slip them into a slit cut in the top of the box. Someone collects the prayers and then prays for each person and his request. Children can learn about prayer by making their own prayer boxes to be used in Sunday school or at home with their family members. Select a shoe box, and remove its lid. Cut a slit in the lid with a pair of scissors. Spread glue on the lid, then wrap it with tissue paper. Repeat this step with the shoe box. Place the lid on top of the shoe box once the glue is completely dry. Write "Prayer Box" on the top of the lid with markers. Decorate the prayer box with stickers and fake jewels. Children can also draw pictures on the tissue paper, such as praying hands or a Bible. Set the prayer box and a few slips of paper where they can be accessed. Decorate the box with any craft supplies that you have on hand, such as pompoms or foam cutouts. 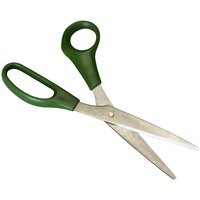 An adult should supervise children working with scissors.